Tarra-Bulga National Park is one of Victoria’s earliest National Parks, having first been set aside in the early 1900’s. Originally, it was two parks – Bulga Park reserved in 1904, and Tarra Valley established in 1909 – but it wasn’t until 1986 that they merged to become one park known as Tarra-Bulga National Park. Today the Park is just over 2,000 hectares in size, a far cry from its modest beginnings as 50 acres or 20 hectares (Bulga) and 155 acres or 63 hectares (Tarra Valley). In 2004 the Centenary of Bulga Park, and the origin of the current National Park, was celebrated through a range of events: a Heritage Picnic Day, Centenary Day & launch of a booklet describing the history of the Park, and a special BBQ to celebrate the 10th Anniversary of the Friends of Tarra-Bulga National Park Inc., as well as the close of the Centenary Year. When it came to the Centenary of Tarra Valley some five years later, it was felt that rather than having a range of big events that a focus on the people who were part of the Park would be more appropriate. In particular, it was felt that due recognition needed to be given to the life and work of Kara Healey who lived and worked in Tarra Valley, providing a very strong lead in the life and understanding of the Park. Kara is also recognised as Victoria’s first woman ranger and an outstanding naturalist in her own right. Nothing more fitting could be seen as appropriate for the second Centenary celebration in the life of Tarra-Bulga National Park. What has previously been known of Kara is that she had collected a range of items – particularly ferns, grasses, mosses, lichens and fungi – as well as invertebrates. Over the years figures have been quoted of Kara collecting 160 types of toadstool, and more than 80 types of mosses, as has the significance of her work in discovering two new types of fungi, both of which were named after her – Poria healeyi and Lambertella healeyi. No records of her botanical collecting were gained from the National Museum of Victoria, University of Melbourne or the CSIRO (having been transferred from there to the National Herbarium of Victoria in 2000). This Report aims to provide insight into the botanical records that have been provided by the National Herbarium of Victoria pertaining to Tarra-Bulga National Park, and in particular to the collection of Kara Healey, in order to update the Park listings of flora. 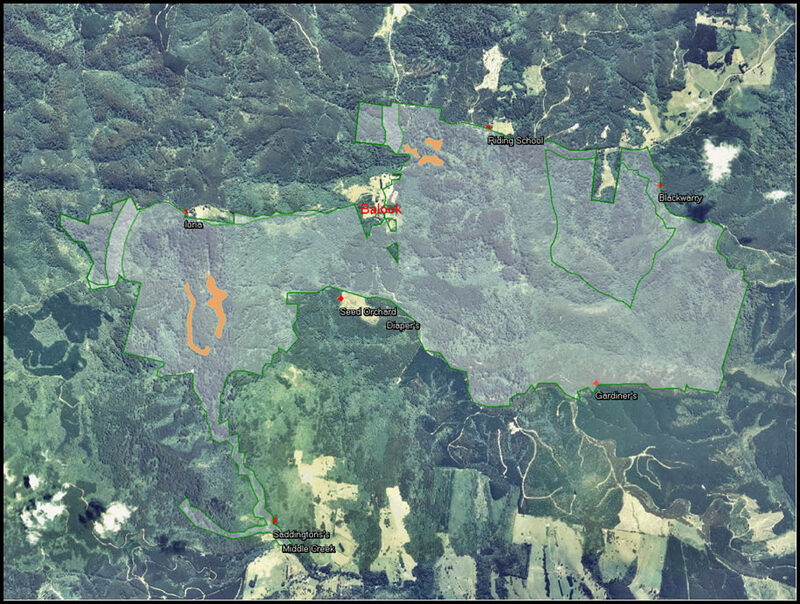 The purpose of the Kara Healey Project-Monitoring Project is to use ‘time-lapse’ photography of a range of ecosystems within Tarra-Bulga National Park, in order to detect and monitor changes in the ecosystems throughout time. In particular, photography will take place in areas of the Park where certain conditions apply. To find out more, please take some time to view the full details of the project in the Photo-monitoring (Word file 54 kb).